If you’re looking for a familiar and functional tablet, choose one of the best Android tablets on the market. 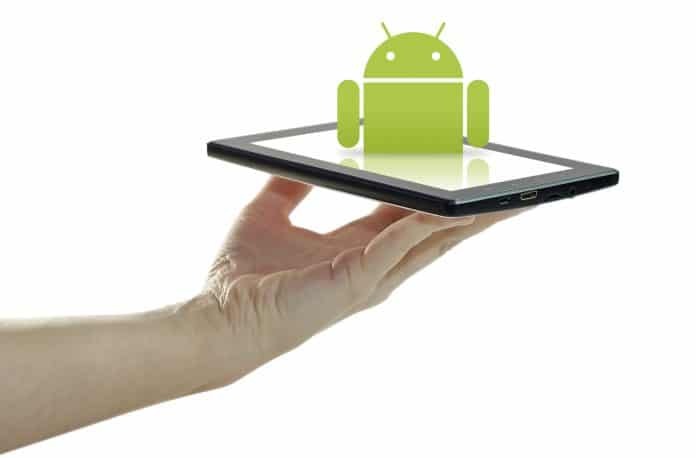 Android is a popular operating system used in smartphones, tablets and two-in-one laptops. Chances are, you’ve owned or still own an Android device. If you’ve ever struggled with learning a new operating system, you understand the importance of a familiar device. This ultimate tablet guide will give you all the information you need to choose the best Android tablet on the market today. Whether you are looking for a portable and inexpensive tablet or a high-powered large-screen model, this list has all the variety you need. There are several operating systems available for tablets. You can choose from Google's Android, Apple’s iOS or Amazon’s Fire operating system. Some tablets also run Windows 10, in order to function more like a laptop. There are many pros and cons to both Android and iOS. First, the design of these operating systems includes lots of connectivity features, so if you already have an Android smartphone, you’ll discover many convenient ways to share information between your devices. Android has more innovative ways of collecting data and tailoring your device to your specific needs. Of course, there are many downsides to data collection, so iOS is proud to collect less of your data in order to give you more privacy. Android offers far more connectivity with online accounts, if you use Google accounts like Gmail, Google Drive and others. Apple iOs, however, has a range of extra devices, like Apple TV or Apple Watch. 2. What Is the Best Screen Size for a Tablet? Generally speaking, tablets with screens less than eight inches are usually designed to be portable and budget-friendly. These smaller tablets are great for travel, kid’s tablets and an inexpensive way to access your favorite apps and web browsing. Larger tablets, usually 10 inches, are also designed to watch movies and stream other online content. For this reason, they are typically more expensive, have higher resolution and more RAM. Depending on your budget, a larger tablet may be better for most uses. However, if you don’t want to spend extra for a larger screen, consider a less expensive, smaller tablet. Neither one is better, so choose based on personal preference. 3. Should I Buy a Tablet or Laptop? This choice also depends on your personal opinions. Laptops are generally far more powerful, boast larger screens and faster processors, and have a more convenient keyboard setup. Laptops can be used for browsing the web and playing videos, but are also effective as workstations. Portability is key to the design of tablets. Larger tablets don’t sacrifice any video streaming capabilities but are less convenient to type or work on. Choose which one best fits your lifestyle and budget, as these two types of devices can serve many different purposes. 4. Are Tablets Good for Watching Videos? While an 8-inch tablet won’t be very convenient, many 10-inch tablets are designed specifically for watching videos. These larger tablets come with high definition displays, great audio quality and enough storage capacity to keep your video and music collection for use anytime. 5. Can I Use a Keyboard With My Tablet? None of the tablets on this list come with a keyboard. However, there are many additional keyboards for sale, either through the same brand or a third-party brand. Attachable USB keyboards are a convenient and portable way to browse the web or use a word processor with your Android tablet. Some tablets can come with a keyboard case. These excellent accessories are a portable keyboard that can also close to protect your tablet’s screen, much in the same way a laptop closes. For more convenient use, many tablets are now featuring stylus pens, which allow you to touch, drag and draw in ways that aren’t practical with your finger. 6. What Specifications Are the Most Important? Depending on your needs, tablets have many specifications that are either very useful or unnecessary. 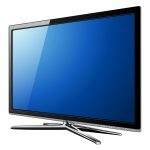 For streaming videos, one of the most important characteristics is the screen resolution. Resolution is described by the number of pixels on the screen, usually given two numbers. The first number is the horizontal pixel count, and the second is the vertical count. So, a screen with the resolution of 1920 x 1200 has 1,920 pixels in each horizontal row and 1,200 pixels in each vertical row. If you have a lot of music and pictures you want to store on your device, the storage capacity is very important. For most uses, you’ll want plenty of RAM, which helps your tablet process information quickly. Each tablet was chosen based on professional reviews, customer ratings and opinions, and range of features. Every tablet on this list uses the Android operating system, but otherwise, this list includes plenty of options for any use. With the FAQs and comparison list, you’ll have all the information you need to choose the best tablet for your needs. This ultimate guide features tablets for a wide range of buyers. More expensive tablets offer unique features, plenty of storage space and great processing power. They also have larger screens, as the most high-end models are all 10-inch tablets. Budget picks feature a more portable size, usually 8-inch screens, and don’t have the storage or RAM of a more expensive model. 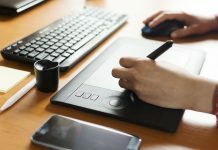 Depending on your use, you may not need an overly expensive tablet, so take a look at each one on the list and decide how much you need to spend to get the most out of your tablet. An affordable and flexible tablet, this pint-sized device offers an 8-megapixel camera, a lightweight design and is compatible with a 4G LTE service plan. Customers love the unbeatable price, full-sized USB port and dual cameras. 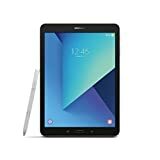 There isn’t much unique about this tablet, but it offers a well-rounded set of features that complement the Android operating system very well. It’s a great choice for a tablet on a budget. A high-quality machine that is excellent for streaming movies, drawing or typing, the Galaxy Tab S3 offers plenty of power and premium upgrades. The high-megapixel cameras help show off the clear resolution of this high-definition 9.7-inch screen. It has all the RAM and storage space you need to play games, surf the web and watch movies online or offline. Buy the keyboard cover or S-pen, and this premium device can replace your laptop as your primary workstation while traveling. It has a long-lasting battery, and customers love the speed and power of this great device. However, many customers also feel the tablet is overpriced. It’s one of the more expensive tablets on this list, so it isn’t the best choice for a budget model. 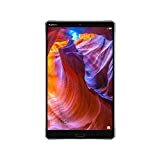 If you are looking for the storage capacity and processing power of a high-end tablet at a great bargain, check out the ZenPad 3S 10. This excellent 9.7-inch tablet has 64 GB of storage, which is perfect for movies, apps and music. It also has 4 GB of RAM, so it’ll run smoothly. It’s a lightweight and inexpensive option, and great for browsing the web or streaming online content. Some customers feel the camera is much lower quality than competitive tablets. However, it’s far less expensive than similar models. Theater-like sight and sound from the 10.1" QHD screen with smart display technology and JBL 4-speaker sound bar. Binge-watch your favorite shows or movies! Powerful 10200 mAh battery plays up to 18 hours of general use. The Lenovo Yoga Tab 3 Pro offers one of the most unique features on the market. This innovative tablet features a projector. Find a clear wall and project up to a 70-inch screen, which Lenovo advertises as a replacement for your living room TV. Whether you are looking for a great way to watch videos, or you want a powerful workstation, this tablet has a wide range of features. The actual screen on the device is 10.1 inches and offers excellent resolution. Its 4 GB of RAM is capable of running most applications smoothly, and it has plenty of storage space to handle all your files. Add a keyboard, and this becomes a great laptop competitor. 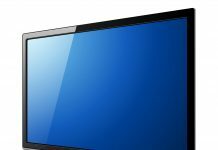 While the screen projector may not be as bright or vivid as your high-definition TV, it still is a unique way to watch movies and is easier to use for a large group than the 10-inch screen. It has great battery life, even when using the projector. Of course, many customers feel this tablet is far too expensive for most uses. Unless you are using it as both your TV and tablet, it may not be worth the investment. Take a look at each of the features, and determine whether it is a cost-effective choice for your lifestyle. Another clear winner in terms of power, the MediaPad M5 boasts high definition, plenty of storage space and excellent webcams. This tablet runs on Android and comes with a stylus pen for more versatile use. The sensitive touchscreen responds well to the pen, so it’s a great choice if you enjoy drawing or have difficulty selecting different icons without assistance. 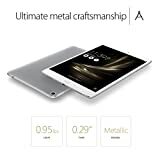 Customers love the overall quality and performance of this high-end tablet, and it is a bestselling device. However, it’s also quite expensive, so some customers feel less expensive tablets work just as effectively. Whether you are looking for a large screen, LTE compatibility or an affordable price, this tablet has it all. It’s a well-rounded, mid-priced device, and is a great family tablet. There’s an additional package that allows you to customize your tablet for kids, like a sturdy rubber case and a filter for blue light. 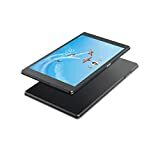 It has low resolution, storage and RAM for its size when compared to other 10-inch Android tablets, but offers this large-sized screen for a great price. If you want to watch online content and plays games with a 10-inch screen, this is one of the most affordable Android tablets of this size on the market. Each tablet on this list is a bestseller, so the good news is that you can’t go wrong with any choice. Review the FAQs, and pick a few features that are most important to you. Then, choose the tablet that has the best mix of those features. For example, if you want a high-end, video-streaming giant, choose the Lenovo Yoga Tab 3 Pro. If you want the most affordable Android tablet, choose the LG G Pad X 8.0. Whichever tablet you choose, be confident that you’ve selected one of the best-rated Android tablets on the market. Each one is either designed to meet a very specific need or offers a well-rounded set of features. If you’re experienced with Android operating systems, you’ll love the convenience and intuitive features of these tablets. If you’ve never used the Android operating system, try one out. You might be surprised at the easy-to-use aspects of this bestselling operating system.